M.Sc. Agricultural Statistics course is a 2 year full-time postgraduate agricultural course. Eligibility to which is B.Sc. degree in the stream of Agriculture, Agro-Forestry, Horticulture, Sericulture, Forestry, Agricultural Marketing or an equivalent degree with 60% of marks from a recognized board. Most of the colleges offer M.Sc. Agricultural Statistics course in various states of India. A Government, Private and Deemed universities also offer this course. Every college has their own eligibility criteria, admission procedure, syllabus, fees structure, and placement training. The average fee for this course ranges between INR 1,000 to INR 3 lakhs based on the performances of students in their bachelor degree examination or an entrance exam conducted by the college before admissions. This course covers Area Statistics comprising the data on Land use, Rainfall Statistics, Yield Statistics of various crops of production, and Area and Production. Admission to M.Sc. Agricultural Statistics course is based on Merit-list or an Entrance-exam. Most of the colleges conduct counseling and select students based on the merit list prepared by the state-wise universities. Some of the reputed colleges conduct entrance exams to select students for this course admission. Entrance exams may vary from state to state. Few colleges conduct the personal interview followed by the entrance exam. Those colleges select students based on their performances in an entrance exam and the personal interview. After completing this course, graduates may get opportunities in areas such as Farm Business Management, Research Organizations, Finance and Appraisal, Fruit Orchards, Coffee and Rubber Plantations, Educational Institutes, etc. 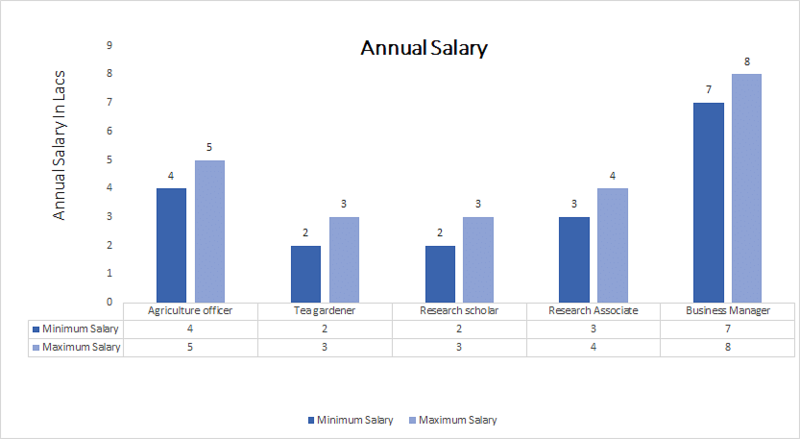 These professionals may work in major positions like Agricultural Officer, Tea Gardener, Research Scholar, Research Associate, Business Manager, etc. The average salary for these professionals ranges between INR 2 to 10 Lacs as per their experience and expertise in this field. M.Sc. Agricultural Statistics: What is it about? M.Sc. Agricultural Statistics course has major specializations are Agronomy, Plant Breeding and Genetics, Soil Science and Agricultural Chemistry, Agricultural Entomology, Plant Biotechnology, Plant Pathology, Agricultural Extension, Agricultural Economics, and Agricultural Meteorology. In this course, students learn to design and analysis of experiments, statistical modelling and methodology, statistical genetics and statistical ecology, theory and applications of sampling, statistical applications in agriculture and allied sciences, pattern recognition and its applications in agriculture, soft computing in agriculture, bioinformatics in agriculture, and RS and GIS in agriculture. Candidates who have completed B.Sc. degree in the stream of Agriculture, Agro-Forestry, Horticulture, Sericulture, Forestry, Agricultural Marketing or an equivalent degree from a recognized board are eligible for Master of Science [M.Sc.] (Agricultural Statistics) course. Candidates should obtain 60% of marks in their bachelor degree examination for M.Sc. Agricultural Statistics course eligibility (55% of marks for SC/ST/PH candidates). The percentage may vary from one college to another. Eligible candidates may apply for this course through online or offline. Admission for M.Sc. Agricultural Statistics course is based on Merit-list or an Entrance-based. Most of the colleges conduct counseling and select students based on the merit list prepared by the state-wise universities. Some of the reputed colleges conduct entrance exams to select students for this course admission. A year-wise syllabus for M.Sc. Agricultural Statisticsis given below. The syllabus may vary from one college to other. M.Sc. Agricultural Statistics: Who should opt? Candidates who have interest in Agricultural Statistics and its related areas are suitable for this course. Candidates who have communications skills, problem-solving skills, observation skills, written and oral skills and organizing skills are suitable for this course. Candidates who have the ability to work with a team, knowledge of computers, positive and optimistic attitude, and an aptitude for research are also suitable for this course. Agricultural Statistics has a lot of scope in terms of career opportunities. These graduates may get opportunities as a Farm Manager, Agricultural Consultant, Fish Farm Manager, Geneticist, Soil Scientist, Rural Practice Surveyor, Animal Nutritionist, Field trials officer, Woodland manager, Magazine Journalist, Sales Executive, Veterinary Nurse, etc. These graduates are also employed in hotels, resorts, and in health farms in order to decorate their settings. These professionals also work as researcher, supervisors, distributors, and engineer or they can also start their own business. Few of them start their own farms and develop their career by farming in their areas. Some professionals may also work as lecturers and teachers in top colleges and schools. Candidates who would like to continue their studies in Agricultural Statistics can further study Ph.D. course in Agriculture. After completing this course, graduates may work in the various field of agriculture and build their career in agricultural statistics.